The Modern Workplace: Are Your Employees Too Linked In? 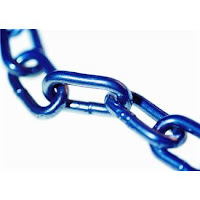 Are Your Employees Too Linked In? Employee use of social media tools, such as an actively managed professional profile on LinkedIn, can be quite beneficial to the business interests of an employer. As with many work-related innovations, however, sometimes there can be too much of a good thing. Social media tools can be vehicles for serious harm to employers. In particular, the use of social media sites by employees can lead to disclosure of a company’s confidential business information, and may also provide significant opportunities for unlawful competition by employees. These very real threats to an employer’s business are another reason for employers to have policies that specifically address permitted use of social media sites such as LinkedIn and to consistently monitor compliance with relevant policies. As we have previously discussed here, threats to the protection of confidential and trade secret information are presented by the commonplace use and exchange of information via the Internet. An interesting twist on that concept shows up in a lawsuit resolved about a year ago. The lawsuit involved employees who were sued by their former employer for unlawful competition and the improper taking of confidential information. The employer’s suit asserted that the employees’ post-termination activities and contacts with customers through LinkedIn was unlawful competition. The employees countered that their use of LinkedIn and the creation of contacts it involved had been encouraged by their former employer and, even post-termination, was routine and permissible social networking. The employer also complained that the employees had taken and used confidential business information. The employees responded that the disputed information was not confidential under the law because it had been routinely disclosed through authorized LinkedIn communications between employees and their contacts. This lawsuit provides a concrete example of the importance of employers’ policies on social media use. It also underscores the need for employers to monitor and enforce their policies. If employers do not provide clear direction to employees about what can be disclosed and when disclosure is appropriate, they risk both inappropriate disclosure and the ability to restrict future unlawful competition.